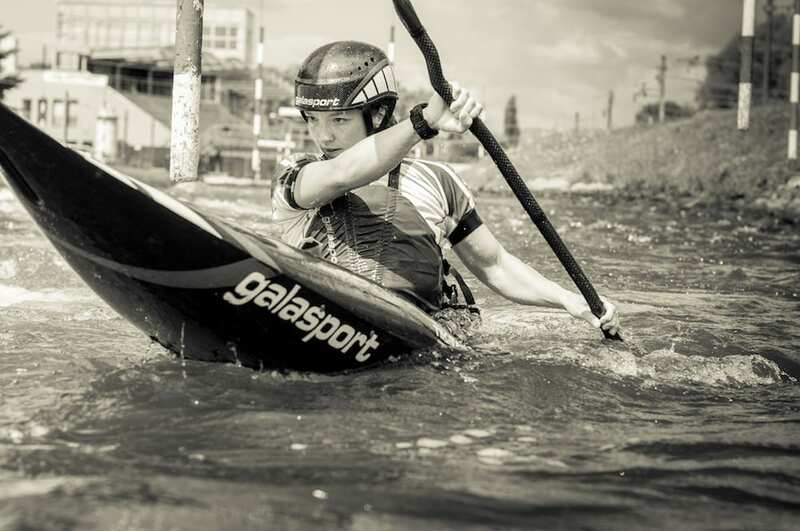 Glen Lyon Coffee is super proud to be sponsoring team GB Kayak Slalom athlete Amber Maslen, who is competing in three World Cups this summer. Getting selected this year for team GB has been huge for Amber who took to the water in earnest while at school at Breadalbane Academy in Aberfeldy ten years ago. We first got to know Amber when she started popping into the roastery for the odd flat white between training sessions on the Grandtully rapids. We were instantly struck by her incredible get up and go attitude to life as well as her obvious love of great coffee. She was in a relaxed mood when she last dropped by with her kayak partner Oscar McBurney to chat to us, gearing up for her next big World Cup competition on the Danube in Slovakia on July 27th. Amber grew up in New Zealand where river sports and especially white water canoeing are second nature to most outdoor focused teenagers. She was first introduced to slalom when she moved with her parents to Perthshire aged fifteen. Although she didn’t initially didn’t take to it, she loved the atmosphere at the start line at Grandtully. In those early years there wasn’t as much support for young kayakers and she remembers training hard every morning and evening on her own. She managed to keep kayaking competitively with financial support from the Scottish scholarship ‘Winning Students’ while studying English Literature at Stirling University. 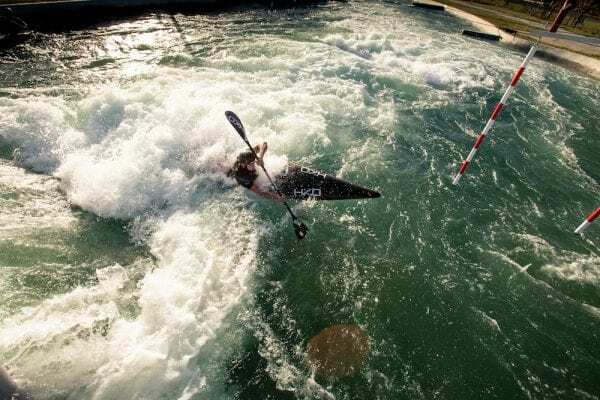 Now aged 25, Amber has dedicated her career to kayak slalom. Amber now competes all over Europe but still loves to train at Grandtully. “I have a real connection to the water here” she told us. “Slalom is all about regeneration physically and mentally and I travel up here to paddle and camp at Loch Tay to clear my mind.” Drinking Glen Lyon coffee on these trips is a big part of the experience for her. “The roastery is at the start and finish of my flat water training and I know I am always going to get a great welcome and a superb coffee there,” added Amber. 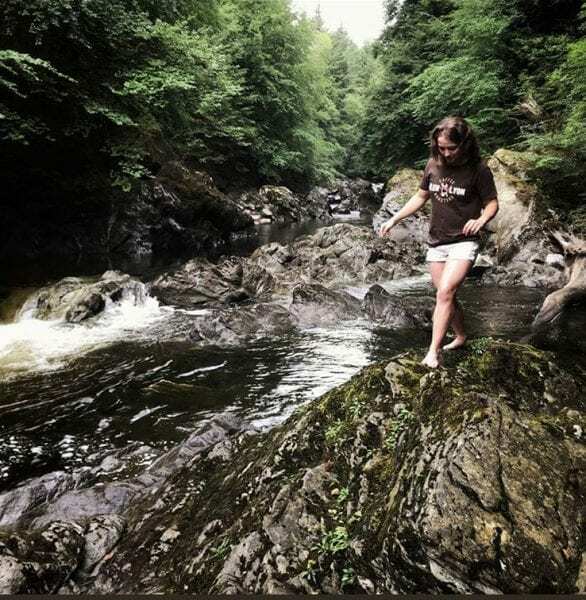 The team at Glen Lyon will be rooting for Amber at the upcoming Danube World Cup on July 27th and we look forward to catching up with her and Oscar on their return to Perthshire. Her dedication and all round positive attitude to the sport and life in general is an inspiration to us all.